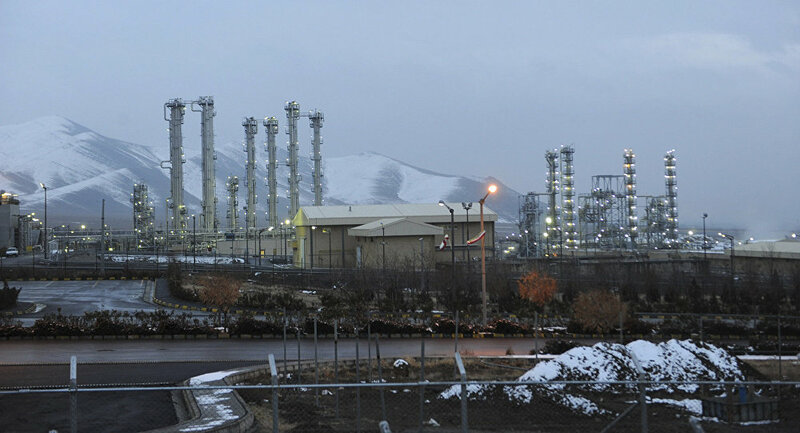 The Atomic Energy Organization of Iran (AEOI) denied Tuesday media reports that the core of its heavy-water reactor in Arak has been dismantled. MOSCOW (Sputnik) – On Monday, local media reports emerged that the core of the Arak reactor had been dismantled and filled with cement. "The AEOI must finish the agreed actions before the day of the implementation [of the nuclear deal], as ordered by the supreme leader… in this regard, some preparatory work has been started but the dismantling of the core of the reactor has not been completed," the AEOI said, as quoted by the IRNA news agency. On July 14, 2015, Iran and the P5+1 group comprising of the United States, Russia, China, France and the United Kingdom plus Germany, signed a nuclear agreement also known as the Joint Comprehensive Plan of Action. The agreement guarantees the peaceful nature of Iran's nuclear program in exchange for sanctions relief. Under the agreement, Tehran agreed to reduce its stock of enriched uranium, decrease the number of centrifuges in the country and reconfigure the Arak heavy-water reactor, as well as refrain from any uranium enrichment at its Fordow facility.